I am absolutely LOVING the monthly Paper Pumpkin Kits… if you haven’t tried them lately- you are definitely going to want August and September! I was able to get a sneak peek of them both, ,and OMG they are amazing- and for new subscribers to get them at 1/2 off- ridiculous- they are worth every penny of the normal $19.95 price- but half off is good too! 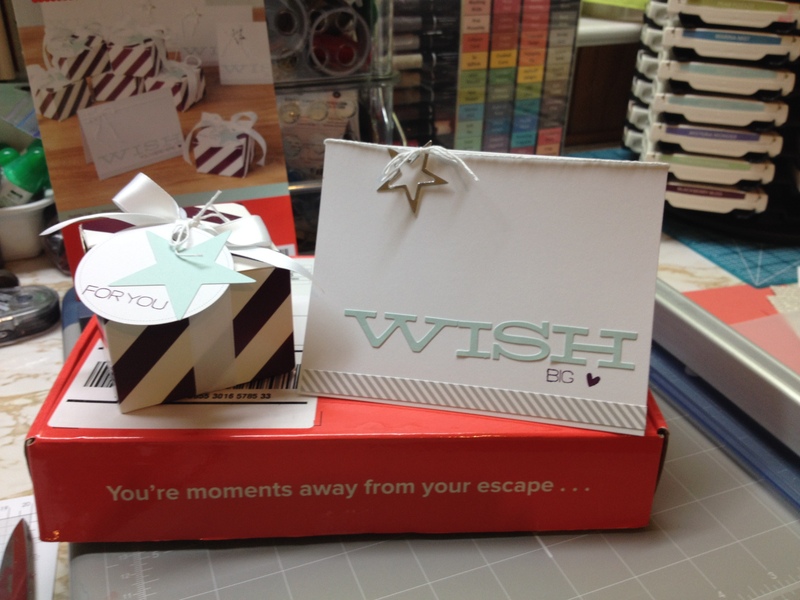 Did you know you can give a gift of Paper Pumpkin kits?? Yes you can! Do you know someone who would love a little “pick me up” and all the materials to do something crafty- something DIY- every month?? What a great birthday gift, or wedding gift, or shower present! Contact me if you have any questions, or click the links below- and be sure to type in my name: Lynn Streifert (Glenville, NY) when you sign up! I have a MONTHLY paper pumpkin night out at my house for all my subscribers. Sign up by August 10th and you’ll be invited to this month’s party! Paper Pumpkin Sign up by August 10 to get the kit that had demonstrators running to sign up after a sneak peek at Inspire. Create. Share. 2014! Two words: seriously amazing. If you’re a first-time subscriber, you’ll get 50% off your first two months (just use coupon code HALFOFF2). Paper Pumpkin Past Kits We recently added more past Paper Pumpkin kits available for purchase, while supplies last. You can find all of the details on the Paper Pumpkin website.